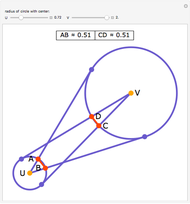 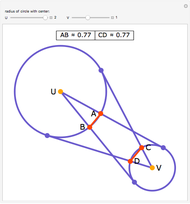 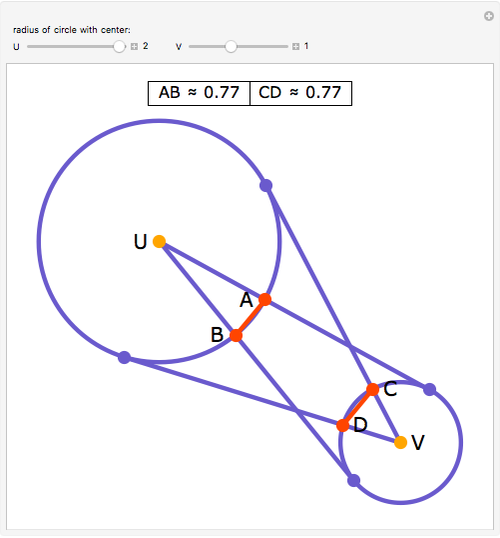 Draw tangents from the centers U and V of the circles to the other circle. Then the lengths of AB and CD are equal. 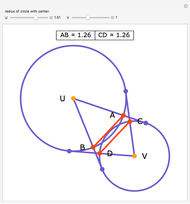 You can drag the orange centers or use the sliders to change the figure. 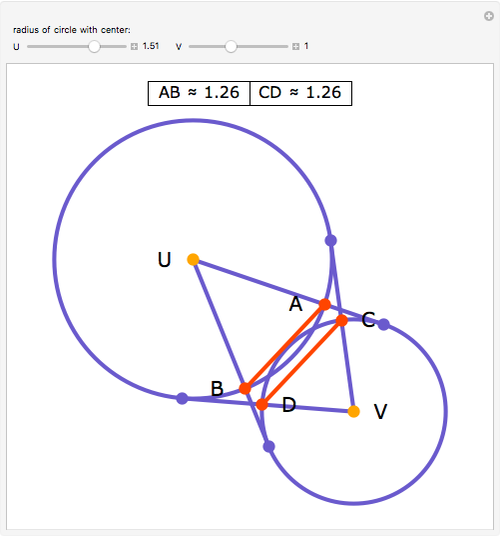 Jay Warendorff "The Eyeball Theorem"